Graff (left) is quickly establishing himself among the better horses Kris Lees has trained. 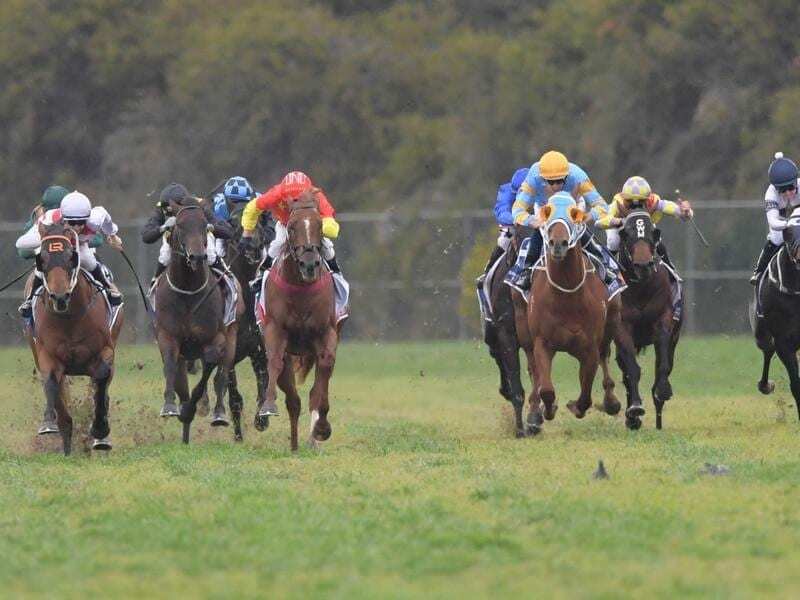 Trainer Kris Lees has put the polish on many elite horses with Graff working his way to the top of the list after keeping his unbeaten record intact in the San Domenico Stakes. Samantha Miss is at the top of the tree but Graff’s first appearance as a three-year-old has stamped him as a star. The winner of two races as a juvenile, Graff was at $5.50 for Saturday’s Group Three San Domenico (1100m) at Rosehill with Neutrality the $4.40 favourite. The two looked as if they would fight out the finish until Graff stamped his authority on his rival to beat him by 2-1/2 lengths. Performer ($5.50) was another 1-1/4 lengths third. “He’s the best colt I’ve had anything to do with,” Lees said. “I’m really pleased with how he’s come back and I think there’s some nice races in store for him. “When he won at Hawkesbury he just thought about things so we put the blinkers on him. The TAB reacted by slashing Graff’s price from $51 to $8 for the Group One Golden Rose (1400m) on September 22. The colt’s owner Alan Bell rated Graff as good as he has had while Graff’s jockey Jason Collett was also upbeat. “That was quite easy in the end,” he said. “He started to really pull me into it 700 to 800 metres out and I thought ‘ease up boy’. Neutrality’s jockey Kerrin McEvoy said the colt didn’t really appreciate the soft track while Glyn Schofield said Plague Stone ($5) who ran seventh was “OK”.